I came off the weekend with empty tanks in the creative department. Travel again took me to the woods of central Massachusetts with a brief pass through of Boston. I missed all the fun TSA enabled scanner shenanigans at the airport. The places I went must have set up shop just after I passed through. Last week I had an idea of a manga and this week I decided to make my iPad flex a bit more than its typical softball serve up of Netflix, Kindle, and email. My capacitive pen arrived last week and I have been testing it out off and on with the application Adobe Ideas. 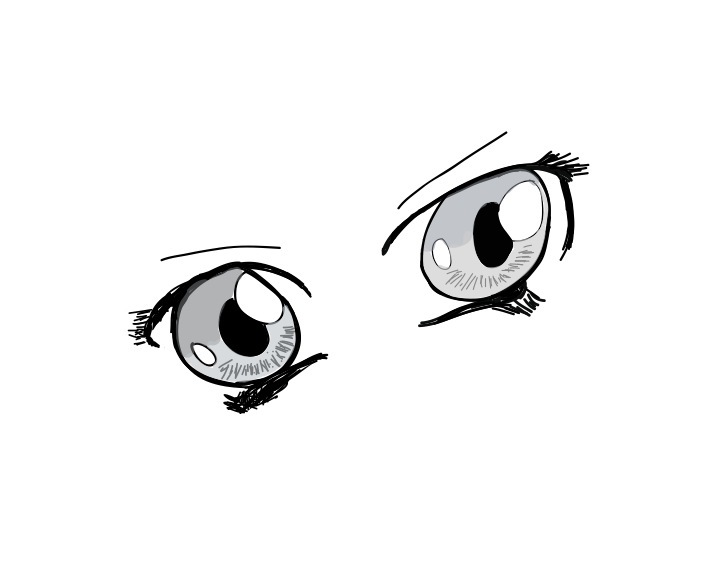 On Monday night I was attempting to learn manga basics for the face. It struck me that I had reached the end of the utility of Adobe Ideas...I could pull in a photo layer and I could work with one drawing layer. What I needed was a multi-layer drawing application with colors and other neat tricks. I said goodbye to Adobe Ideas and went to the App Store. Well well well...to my great surprise Adobe Ideas had an update locked and loaded. The update contained everything I wanted. There was a $5 in app upgrade fee and suddenly my Adobe Ideas app became the exact thing I wanted. I’ve been screwing around with learning to draw for the last few days. Right now, at least, it is easier for me to try to draw something everyday than to write something everyday. I am certain it is just a honeymoon phase, but I am fine with it. Tomorrow at work is a big Thanksgiving pot luck. I need to step out to buy materials for my award winning cheesy potatoes. I need to return in time to enjoy Mythbusters. I need to put all my new comics from today (being new comics day) into their protective sleeves with backerboards. I should transcribe a page or two of book edits...but I am probably going to spend the rest of the night reading comics and drawing on my iPad. I don’t even have time for any Rock Band 3 tonight. I think that qualifies as a 1st world problem. Anyway, to sum up: Adobe Ideas for the iPad with the layers upgrade is completely worth the price.